CheckOutStore® Clear Storage Pockets are a great way to store your photopolymer stamp sets and custom steel dies. Extra long version! Manufacturer warranty is only available from authorized sellers. mediaxpo and Amazon are the only authorized resellers of the brand CheckOutStore®. 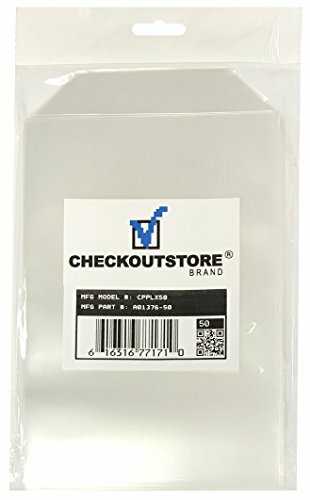 GREAT VALUE: Sold in 100 pack - Each storage pocket measures 5 5/8" x 8 1/2"
If you have any questions about this product by CheckOutStore, contact us by completing and submitting the form below. If you are looking for a specif part number, please include it with your message.